Everybody has some hidden talent and one of them is singing. If you are a fond of Bollywood Hindi songs and want to improve your singing then you might be looking for some karaoke app for Hindi songs. We have tested near about 50 Hindi Karaoke apps and out which we have selected some of the best Hindi karaoke apps for Bollywood songs or tracks. For those don’t know about the Karaoke app, it is basically a simple smartphone app that has prebuilt recorded songs without audio lyrics. Amateur singers use them to record their own voice using a microphone while the music plays in the background. The Karaoke was originally developed in Japan in the form of interactive entertainment or video game. The word Karaoke drived from Kara which means empty in the Japanese language. So, if you want to use your smartphone as a Karaoke machine then here are some free Karaeko apps for Hindi songs. The StarMaker is the best free Karaoke app for Hindi sings, however, the English songs are available too. The best thing is its simple interface and community which is around 50+ million and availability of top old and new Hindi songs. As I said, this Karaoke app features both Hindi new and old tracks of Bollywood, even you can find the unplugged versions of some Hindi songs. 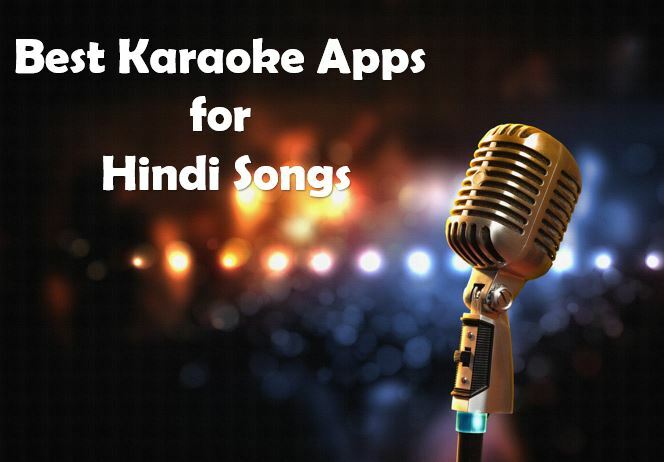 Beside Hindi Karaoke songs, you can also find Punjabi, Telugu and other languages too. The Starmaker Karaoke app allows both premium and free sections in the account. If you are regular Hindi Karaoke songs fan you can go for the VIP account which charges around Rs 300 per month and gives you additional benefits as compared to the free one such as Unlimited access to VIP songs, VIP will get twice the amount of gifts daily, Pay 70% OFF for on-screen messages in Live, Ad-free, Exclusive VIP badge, Red stage Name, and the following upper limit is upgraded from 1000 to 5000 . The app is available for Android and iPhone smartphone users. Moreover, you can also request for some song to the Karaeko app developers to add that in the library. One can sing Solo or duet and also can collab with your friends for favorite Bollywood singer songs. While recording the songs on the app, it will show the lyrics and gives a score for your accuracy. After recording you can add different effects to improve the overall song’s voice quality; the effects are Party, Auto-Tune, Hall, Distant, Warm, Vinyl, Fascinating, Dreamlike and PSY. In this Hindi Karaoke app, the user can go Live while singing songs to show more authority of voice. You can upload your own picture on the wall. People those like your Karaoke track can follow, share and like them. Even a person can send a direct message to other singers. The Smule Karaoke app Sing is one of the best Karaoke apps not for only Hindi songs but also for other languages such as English, Malayalam, Telugu and more. The interface of the app is very clean and no confusing elements. The Smule Karaoke app is available for both Android and iPhone platforms. It provides a massive catalog of Pop, R&B, Rock, Rap, Hip Hop, Country, Soundtracks, Latin, K-Pop and more. After recording your Hindi or other language Karaoke songs you can add the effects such as Magic, Studio, Polish, Popstar, Super Pop, Super studio, Indie, Double you, Star, Dust, and Grunge. Bring your friends to sing the duet or just do it alone in SOLO. You can also use audio effects and video filters while singing your favorite karaoke songs. The Video filters can apply while singing to look more professional. The filters are Selfie, Vintage, Black & White, Sepia, and Fight Club. Love, comment and share other videos and Karaoke. Share the Karaoke with 50M+ musically minded people and supportive community. It is the another best top Karaoke app on our list to sing Bollywood Hindi tracks. The interface elements of this Hindi Karaoke app is similar to the Starmaker and the best thing is that it is a free karaoke singing app. SingPlus lets you sing and record your own cover of latest and old Hindi songs tracks either SOLO or in Collab with friends. 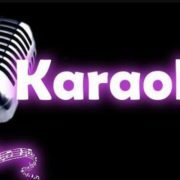 The Karaoke app offers 8 special sound effect that can edit the Karaoke song after recording such as Pop, R&B, Electronic, Jazz BRight, Phonograph, Hip Pop and Rock. Beside a Bollywood Hindi language songs, it also features Karaoke songs in other Indian languages such as Tamil, Telugu, Marathi, Kannada, Punjabi, Naija, Gospel & many more regional, Bollywood and Nollywood songs (Nigerian) for free. Freestyle singing is also available. It has the collection of some top artists such as Arijit Singh, Shreya Ghoshal, Atif Aslam, Davido, Wizkid, 2face ldibia, D’banj, Olamide, Honey Singh, Bruno Mars, John Legend, Meghan Trainor, Ellie Goulding, Jessie J, Sam Smith, and lukas graham. After recording the user can share the Karaoke songs directly only on Facebook and WhatsApp. 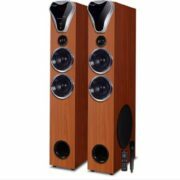 The SingPlus is only available for Android smartphone. The Red Karaoke is a free app to sing and record yourself on audio or video. It is available for both Android and iPhone Smartphones and you can sing with lyrics on the screen. It is the best Karaoke app but we can’t say it exactly for Hindi song tracks because of the low database for Bollywood Karaoke tracks. Red Karaoke has 100,000+ karaoke songs in multiple languages which means it is not totally dedicated to Hindi songs. However, still, you can give it one try for its nice interface and record yourself. One can also share the videos of singing and get fans. You can also record duets, add sound effects to improve the voice, balance the music with the voice, add Themes and Video Effects to your videos and much more. After listing all best available Karaoke apps for Hindi Bollywood songs one more which we want to add here is Sing Karaoke Record Karaoke, it is not the best as compared to the above Karaoke apps. But still, it has one best feature which allows you to access the Karaoke Youtube videos. This app lists all the Karaoke song videos from Youtube and allows you to record your voice with them. The app also shows the lyrics on the Videos. So, if you didn’t find your old or favorite Hindi songs in the above-mentioned apps then try this one because as you know that Youtube is a huge database and definitely your find what you are looking for. The Sing Karaoke Record Karaoke can easily work on Wifi or 3G and also provides sound effects like karaoke room. Furthermore, it features a recording of Karaoke online and offline, Records your voice and background songs, Turns on the microphone and you can hear your voice, Save option, recover and backup favorite songs and real-time audio effects: echo, reverb, bass, mid, treble. We have listed the Gaao Karaoke app because it is so much popular on the internet and also tried it. But after using the Gaao app, we are not included it in our best Karaoke apps list for Hindi songs and here it is just for knowledge. What we found that the app is unstable and most of the time it doesn’t work properly. 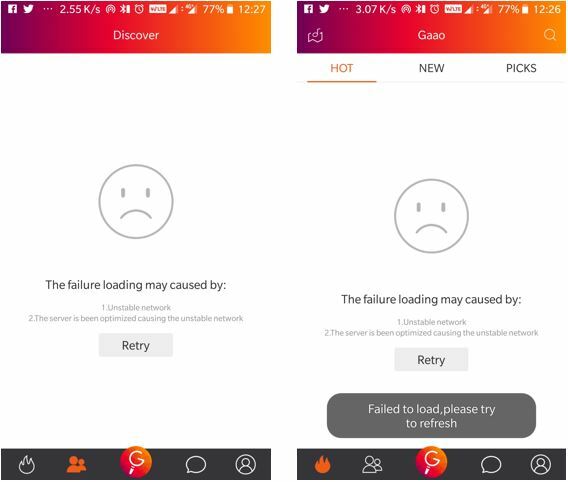 After testing it one two different mobile phones, the Gaao app shows the same error which is “unable to connect to the server or unstable network”. Note: To test all these Hindi tracks enabled Karaoke apps we used the OnePlus 5 Android Platform Smartphone device. Please let us know which of the above apps worked best for you. If you know any other best Karaoke song app for Hindi & Bollywood tracks or in your own language then please let us know. The comment section is all yours.